Thank you to all attendees of the 2018 Mass Youth Soccer Appreciation Night! Congratulations to all Award Winners, ODP Regional Players and our Hall of Fame inductee - Skip Gorman. 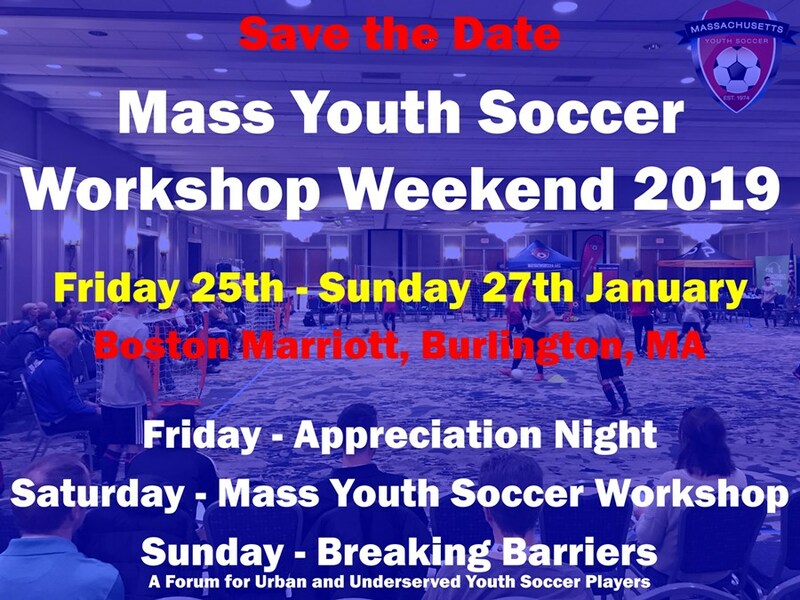 Massachusetts Youth Soccer invites you to attend our Appreciation Night to be held on Friday 26th January in the Commonwealth Ballroom (Level 2) at the Boston Marriott, Newton, MA. Appreciation Night is a wonderful opportunity for our members to celebrate the time, dedication and passion of the many wonderful volunteers involved in youth soccer organizations across the state. 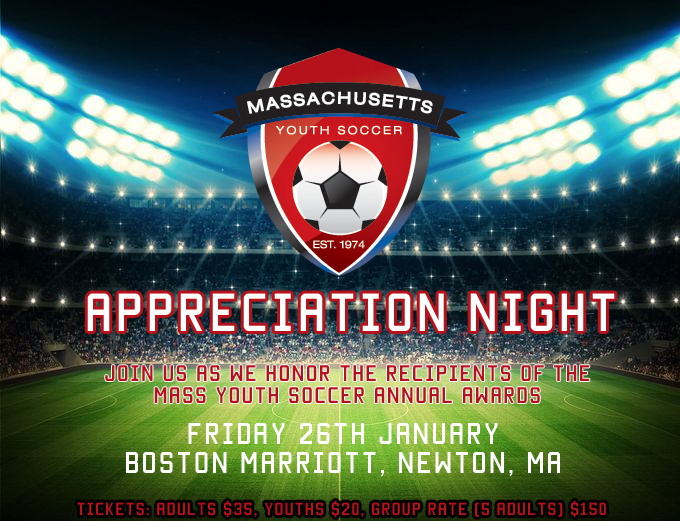 Appreciation Night will include key note speeches from Becky Burleigh, What Drives Winning/University of Florida and Skye Eddy Bruce, Soccer Parenting Association in addition to recognizing the 2017 Mass Youth Soccer Annual Award Winners, Scholarship Recipients and players selected for the ODP Region 1 Pool.